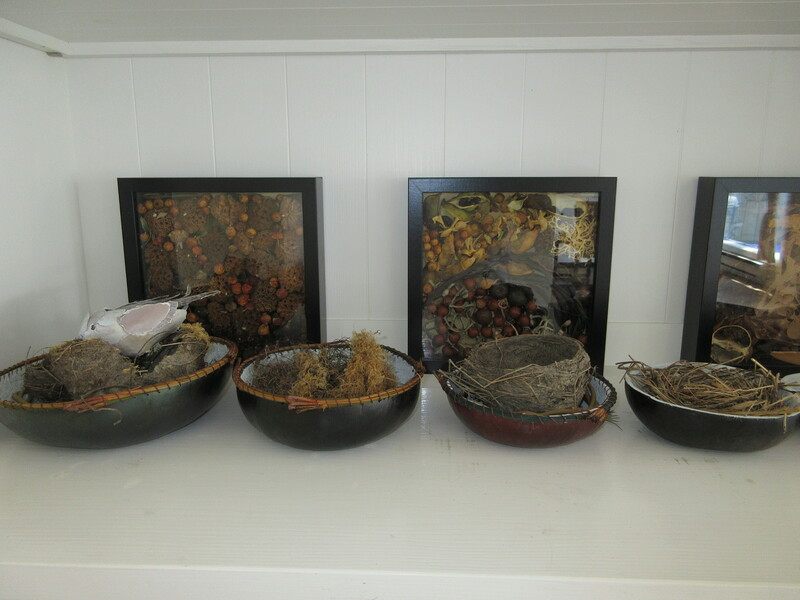 I had so many bird nests and I wanted to display them so I dyed and painted some gourds to hold each nest. 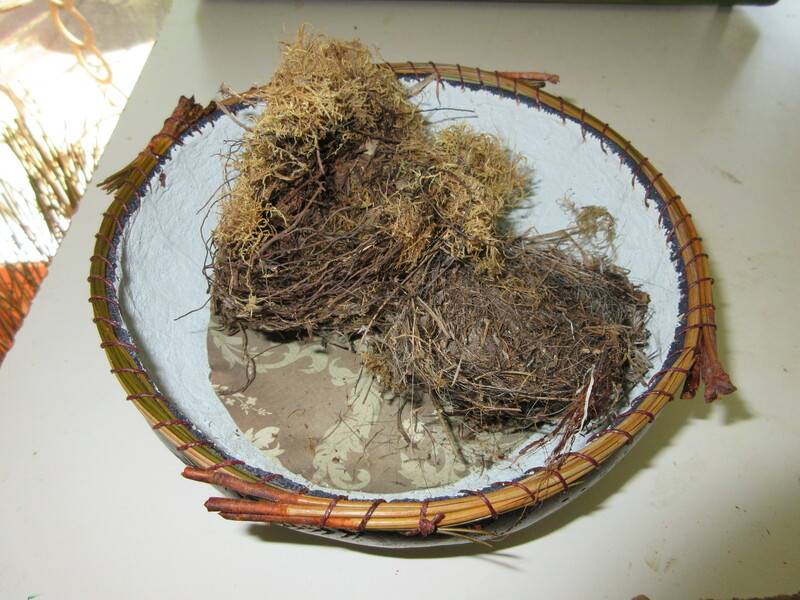 I also sewed dyed pine needles around the rim of some of the gourds. 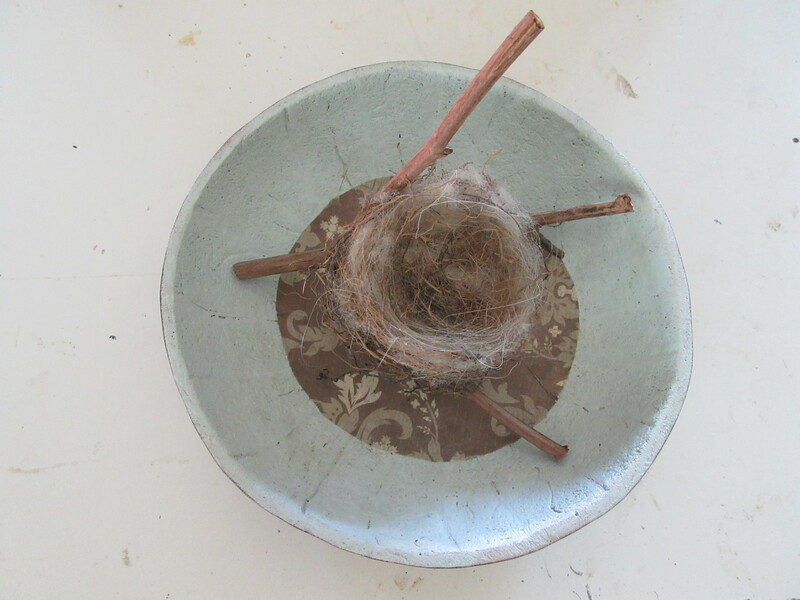 Some gourds had holes in the bottom and I covered those with paper. 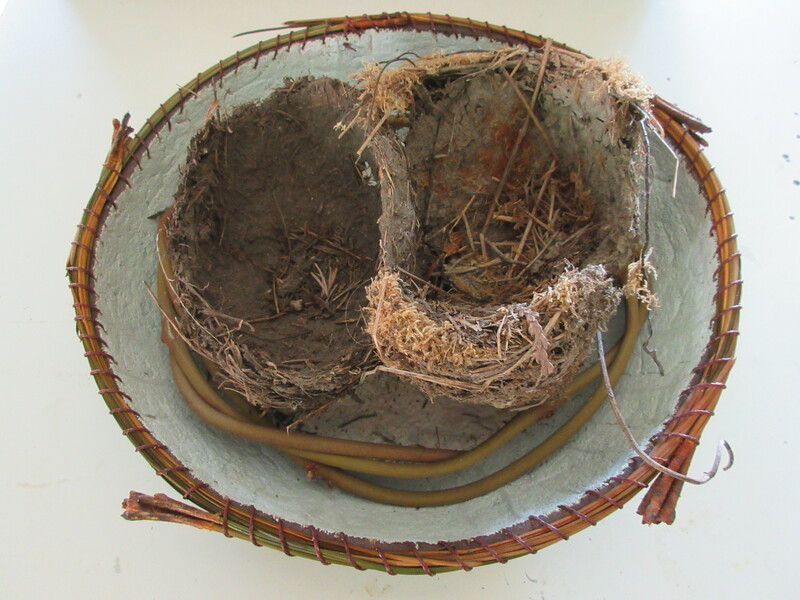 This entry was posted in installations, mixed media, natural world, other art. Bookmark the permalink. 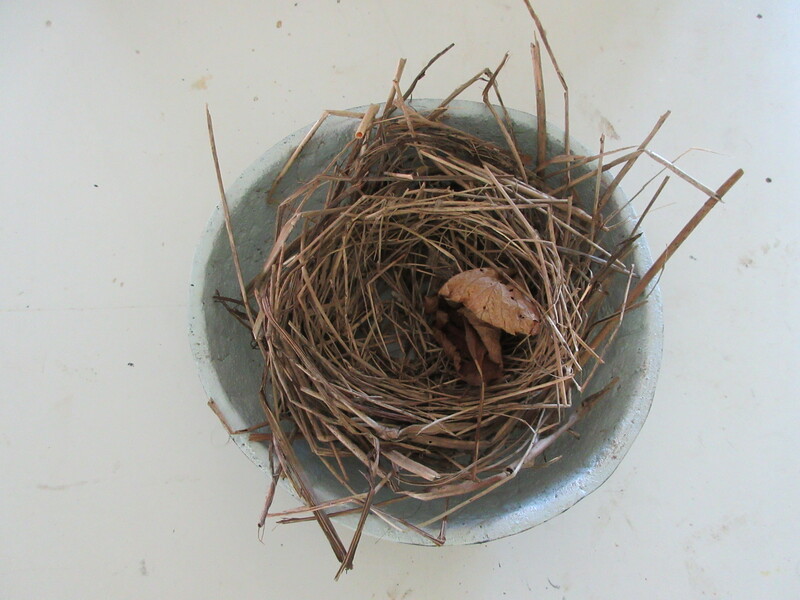 Just beautiful, tender, considered work!